The elephant-nose polystigma, or Linn's haplochromis, a native of Pacific waters, is easily confused with a closely related species, N. polystigma (English name: the polystigma) but has a downwardtilted mouth. 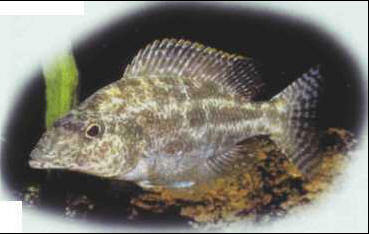 The female incubates up to 300 eggs for 3 weeks; the fry are free-swimming when they reach 1 cm. Size: 20 cm. ЧЖАН ЦАН , китайский государственный деятель и ученый 2 в. до н. э. Классический трактат "Арифметика в девяти главах" (изложены математические знания Китая его времени).